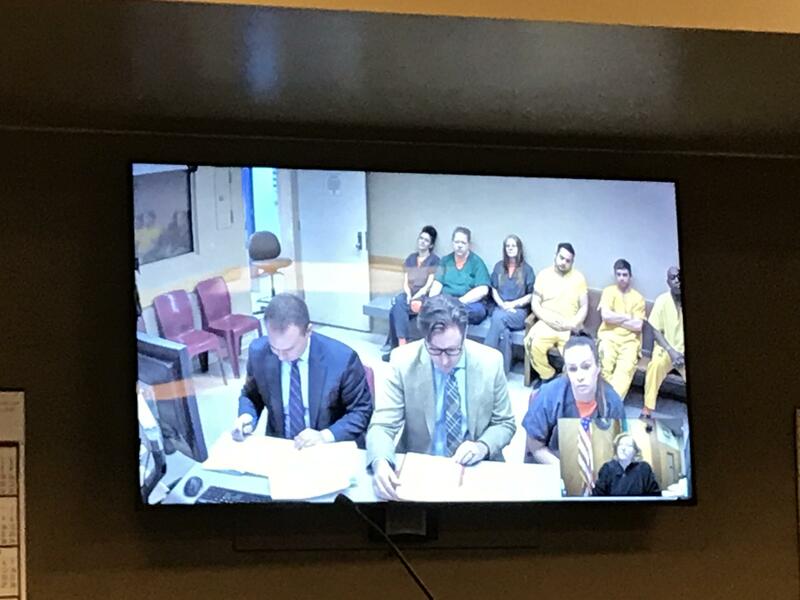 UPDATED: Mon., Feb. 11, 2019, 9:23 p.m.
A woman accused of injuring a Washington State Patrol trooper after crashing into his vehicle Sunday evening on Interstate 90 in Spokane Valley may have been driving while drunk. Ashley Hix, 32, pleaded not guilty Monday in Spokane County Superior Court to a felony charge of vehicular assault. Judge Michelle Szambelan set bail at $15,000. WSP troopers arrested Hix at the crash scene, alleging they could smell alcohol on her breath after she hit Trooper Jerry Wier’s vehicle. Wier was on a traffic stop near milepost 293, just west of the Barker Road exit, when he was hit by Hix’s vehicle. A second trooper’s vehicle also was hit during the collision, but he was not in it at the time. No other injuries were reported. Wier was taken to Providence Sacred Heart Medical Center with serious injuries. He was released Monday with “numbness in his hands” as well as back, neck and ankle pain, according to court records. Hix admitted to drinking three gin and tonics less than an hour before the collision, according to court documents. Published: Feb. 11, 2019, 4:08 p.m. Updated: Feb. 11, 2019, 9:23 p.m.